Dr. Katz, the Wilburt Cornell Davison Professor and Chairman Emeritus of Pediatrics at Duke University, is an honors graduate of Dartmouth College and Harvard Medical School. After medical internship at Beth Israel Hospital he completed Pediatrics residency training at the Massachusetts General Hospital and the Boston Children's Hospital, followed by a research fellowship in virology and infectious diseases, and then became a staff member at Children's Hospital working with Nobel Laureate John J. Enders. He remained with Enders for 12 years during which time they developed the attenuated measles virus vaccine now used throughout the world. Katz' career has been devoted to infectious disease research focusing principally on vaccine research and development. In addition, to his investigations of measles, he has been involved in studies of vaccinia, polio, rubella, influenza, pertussis, HIV, Haemophilus influenzae b conjugates and many others. He has Chaired the Committee on Infectious Diseases of the American Academy of Pediatrics (the Redbook Committee), the Advisory Committee on Immunization Practices (ACIP) of the CDC, the Vaccine Priorities Study of the Institute of Medicine (IOM), and several WHO and CVI vaccine and HIV panels. He is a member of many scientific advisory committees and boards including the NIH, IOM, WHO, St. Jude Children's Research Hospital, The Burroughs Wellcome Fund (Chairman), and the Hasbro Children's Foundation. He was Chairman of the Public Policy Council of the Infectious Diseases Society of America (IDSA) and currently co-chairs IDSA's Vaccine Initiative. For 22 years, Dr. Katz was Chairman of the Department of Pediatrics at Duke University School of Medicine. Having relinquished the Chairmanship in 1990, his principle activities now are with vaccines and pediatric AIDS. He participates in the clinical research trials of the NIH, served on their Committee for AIDS Vaccines, devotes time each week to the care of children with HIV infection, and was a member of The Pediatric Executive Committee of NIAID's ACTG. His vaccine policy work continues through CDC, IOM, NIH, IDSA and WHO committees and consultancies. Sunday, November 12th on CBS TV 60 Minutes, Dr. Samuel Katz said on the show MMR Vaccine and Autism, that there was no autism epidemic. “Some of the officials involved in the agency's 1991 decision to recommend that all infants receive the Hepatitis B vaccine also had close ties to vaccine manufacturers. 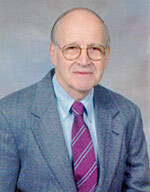 Dr. Sam Katz was the advisory committee chairman at the time. A professor at Duke, Katz said 30 percent of children who get the disease get it from unknown causes, possibly in daycare. ’So they said, 'Well, we've got a captive audience and we want to give it to the newborns anyways.'"